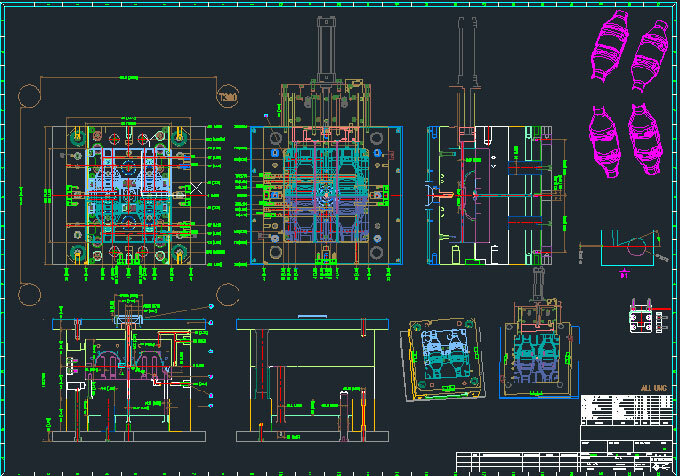 Injection moulding is a method including injection and moulding. At a certain temperature, the completely molten plastic material is stirred by screw, and the molten is injected into mould cavity by high pressure, after cooling and solidifying, the injection moulded parts are obtained. 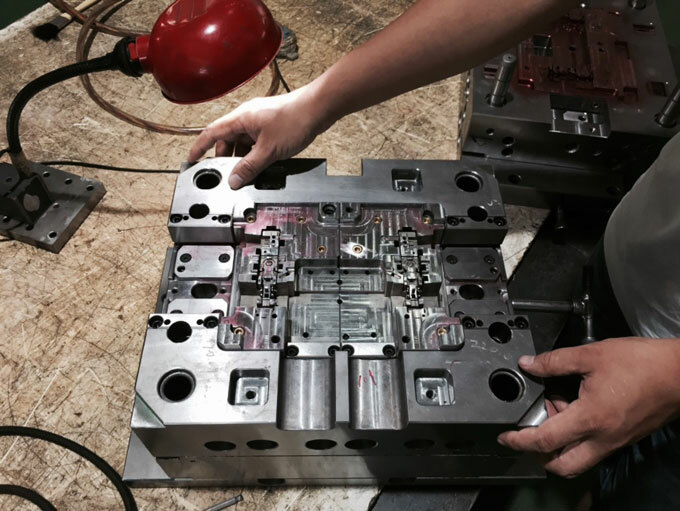 There are six stages in the injection moulding process: mould clamping, injection moulding, pressure holding, cooling, mould opening, and plastic parts removal. These six stages directly determine the quality of injection moulded product, and these six stages are a complete continuous process. Due to the melt plasticization and flow moulding of moulding material are carried out in the barrel and the mould cavity respectively. Mould is always in the state that makes the melt is quickly condensed or crosslinked and solidified, thereby contributing to shortening of the moulding cycle. During injection moulding, the mould should be locked before the melt is injected, and the melt material has good fluidity, which has small wear on the cavity, so a set of mould can produce large quantities of injection moulded products. An operator can often manage two or more injection moulding machines, especially when the moulded parts can be automatically unloaded. More machines can be managed at the same time, so the labor required is relatively low. All moulding processes such as clamping, feeding, plasticizing, injection, mould opening and demoulding during injection moulding are performed and completed by injection moulding machine, making the injection moulding process easy to fully automate and program control. Due to the high pressure during injection moulding, the plastic parts with complex shape, clear surface pattern and marking, and high-precision size can be shaped. More than one type of material can be moulded by co-injection. The thermoset plastics and fiber reinforced plastics can be moulded. Due to the precision moulding and precision hydraulic system can be used in injection moulding, and the use of microcomputer control, so the high precision products can be obtained. High production efficiency. Two sets of moulds can have dozens or even hundreds of cavities, so dozens or even hundreds of plastic parts can be moulded by once moulding. The scrap generated during injection moulding can be reused. Therefore, there is small waste of raw materials during injection moulding. 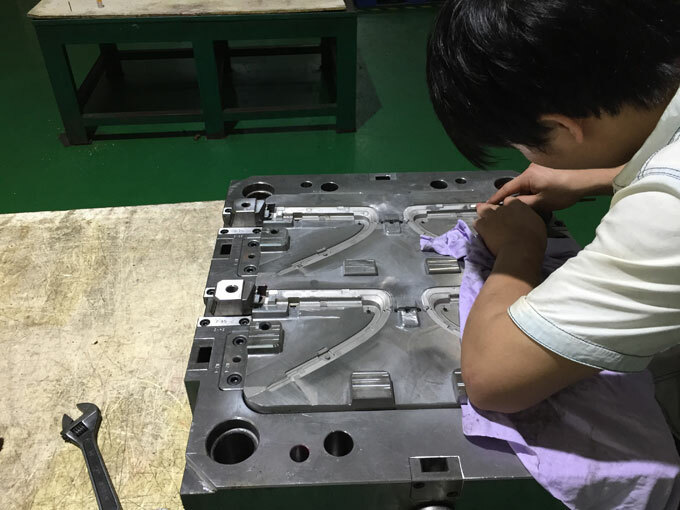 The key tool for injection moulding is the mould, but the cycle of design, manufacture and trial of the mould is very long. Due to the limitation of cooling conditions, it is difficult to form the plastic part having a thick wall and a large change. Since the cost of the injection moulding machine and the injection mould are relatively high, the startup investment is large, so it is not suitable for small batches production of plastic parts. The quality of injection moulded products is limited by many factors, so the technical requirements are high and it is difficult to control.